Mare (a.k.a. Mary) Leonard's poem "La dernière danse des poulets" has just been nominated for The Pushcart Prize, an American literary prize published by Pushcart Press that honors the best poetry, short fiction, essays, etc. published by small presses. Mare also shares her poem "In the Backseat of the Limo." in an ancient village on the Seine. grew strong here, grand-père insists. No soft straw, they clack in disbelief. Baby's Breathe. A cascade of life. "Caroline died." The beautiful charming, smart girl, your first child who could ride the waves, sweep the ball over the net, roller and ice skate, laugh until she cried, bake a perfect cheese cake, be mistaken for Audrey Hepburn. My older sister. My only sister. I don't say any of the above. I didn't even think the above. "Dad, Dad, what do you remember about Caroline"? Mare C. Leonard is a poet, humorist, teacher and journalist. 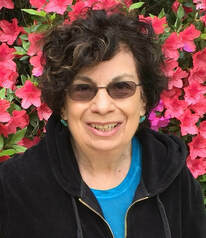 Her poems, essays, short fiction, and mixed genre pieces have been published in numerous journals, including Hubbub, The Chronogram and Blotterature. She is also the author of five chapbooks. Mary was a finalist in the Hill-Stead Museum's Poetry Contest, and she won first prize in the Lucy Cady Lamphier Contest. Mary has been a dedicated teacher for decades and is known to leave an indelible impression on her students. She has taught at every level, from public high school to Trinity College in Hartford, CT. Since 1988, she has been an associate of the Institute for Writing and Thinking at Bard College, where she taught incoming freshmen in the Language and Thinking program from 1990 through 1998. For years, she has taught a summer program for students in grades 10 through 12 at Bard College at Simon's Rock. The Young Writers Workshop is now part of the National Writing and Thinking Network, the largest consortium of summer writing programs in the country.